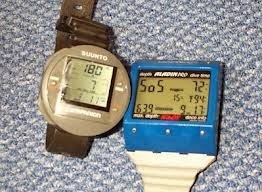 These days it is rare to see a scuba diver who doesn't have a dive computer on their wrist but do they all know what the computer is telling them and how they should accordingly react? 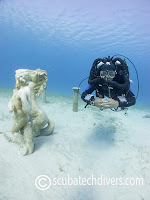 When I first learned to dive, most dives were planned and executed using pre-determined tables produced and published by the relevant Diver Training Agency and as recent as five years ago, a common phrase you would hear in the Diving resorts was the Instructor's "Don't Dive Deeper than me and you will be ok!" 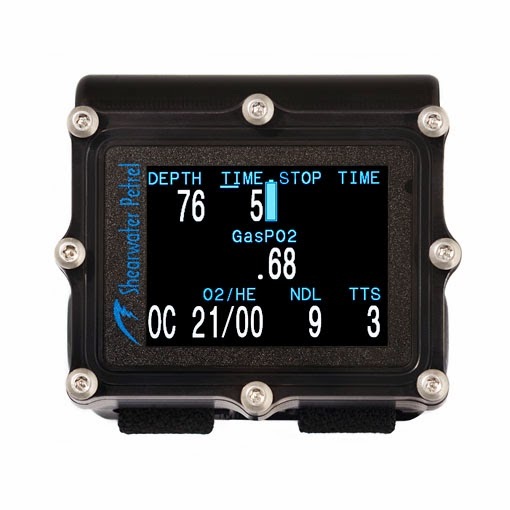 Although it is much safer for every diver to have a computer on their wrist for independent depth, time and decompression information, I do think that a lot of the explanation behind the information the computer is giving you has been lost in the attempt to simplify the training. Divers are taught to read the information the computer gives without any real understanding. Equally, now that diving with computers is commonplace, many diver training centres will give the student a dive computer to use, point out the basic information the diver needs to monitor the dive and after the course, take back said computer and wave cheerio! 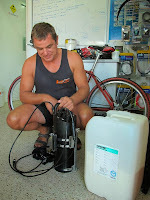 Now diver goes to the local dive show and buys themselves a brand new, state of the art diving computer with all the bells and whistles needed, not only for decompression information relevant to their training and experience, but that they can "grow into" with in-built compasses, dive planners, trimix and CCR capabilities, GPS and satellite television. The manual for the dive computer (and all its added extras) is so thick it looks a bit too daunting to actually read, so it goes in a drawer. 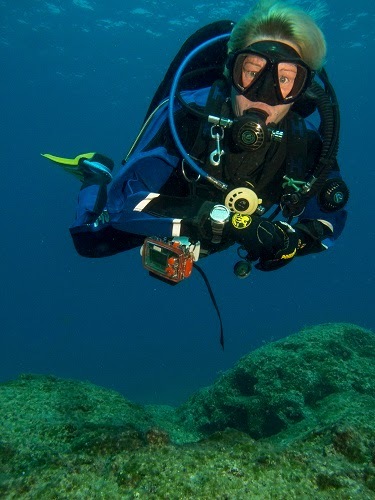 There is no need to worry though because the diver has used a dive computer before. 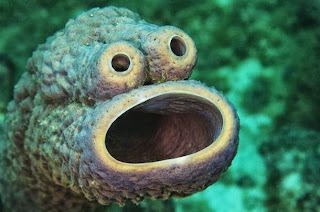 On a Diving holiday later in the year, the diver emerges from the depths with a continuously beeping computer and a cheery " well, its 5 past 5 again!!" Pardon me? What do you mean? knowledgeable diver that it isn't 5.05...more like SOS. Dive stops, DECOMPRESSION STOPS, have been missed. "Oh, don't worry. It always says that". This is just one example of many stories I could tell with regards to Dive Computers. It seems to be commonplace to have a computer but not know how they work or what they say. Or even worse, to dis-regard the information being given. I have recently seen dive computers sitting out the decompression stops tied onto a line at 6m while the diver has surfaced, enjoying a post dive coffee. The Dive computer is a life saving piece of equipment. 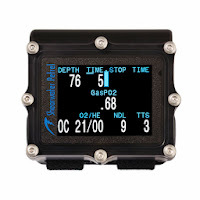 It gives important information that will assist the diver to complete their dives in the safest possible way. 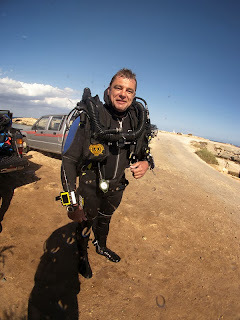 Divers who spend hundreds of euros or pounds on a dive computer and then don't know or do not care what information they give, to my mind, have too much money and not enough common sense. These divers are dangerous and are not the kind of buddies I want to dive with. When in doubt, read the manual and if you are still unsure, a good dive centre or dive store that have trained you and/or sold you equipment, will never turn you away if you have questions regarding scuba diving. 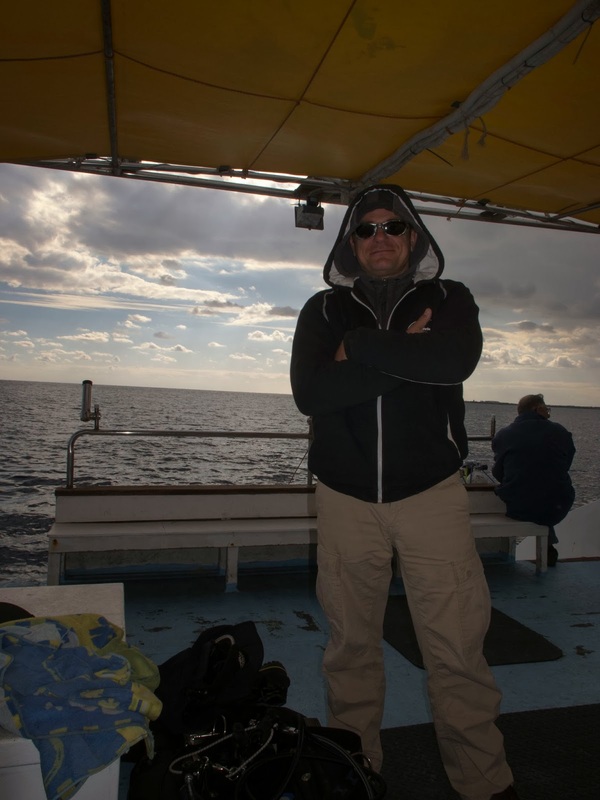 3m Microdive Certifications- Good Idea or not? 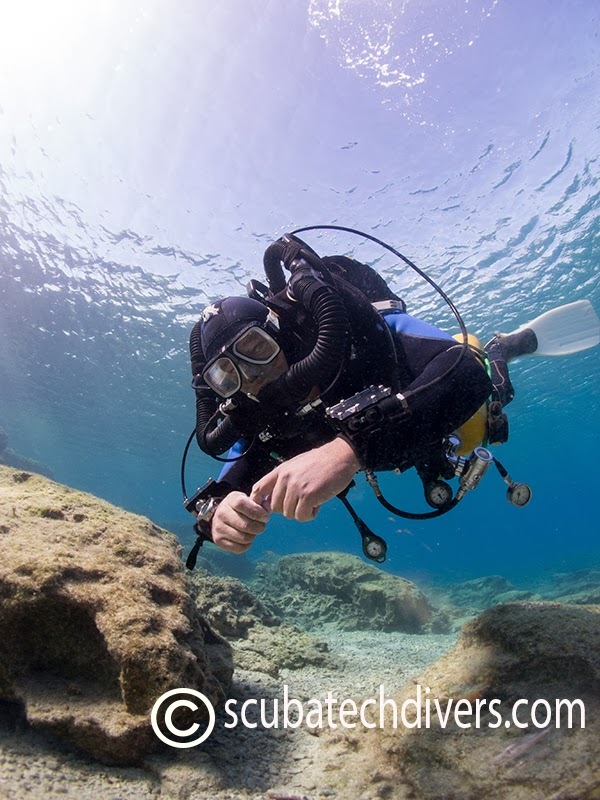 In reading a recent copy of one of our Diving magazines, I came across a "Have your Say" article based around the Microdive Basic Diver Course. Readers of the magazine basically gave their opinion on this training course and whether they believe it to be a good idea or not. 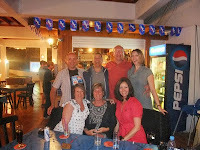 So, I thought I had best find out more about it!! 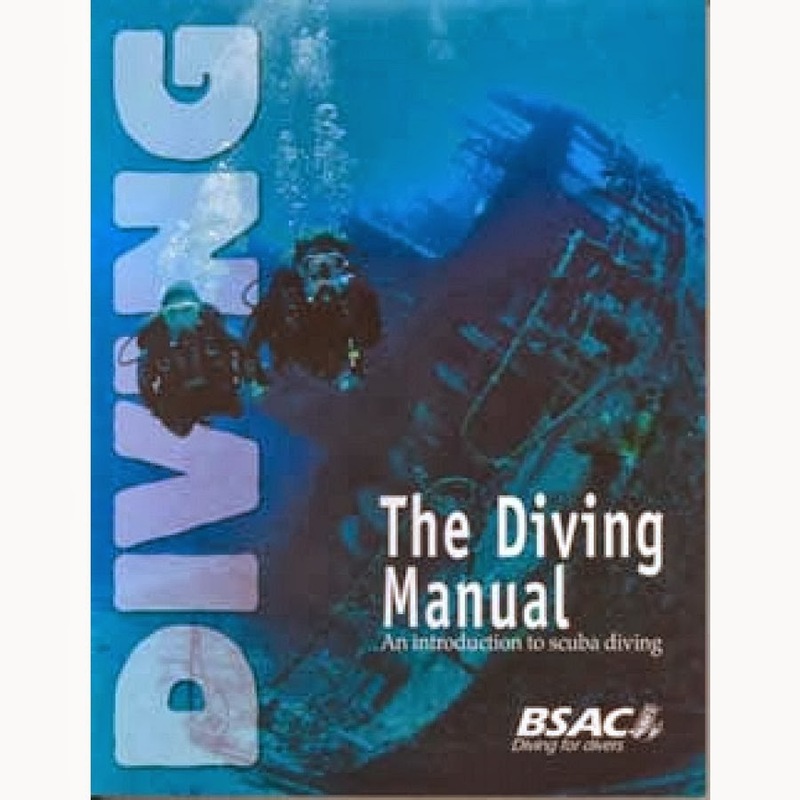 The Microdive Basic Diver Course was originally written for the RYA (Royal Yachting Association) back in 2012 but has more recently been made available for anyone. Initial thinking was to help powerboat handlers handle any potential problems below the waterline that may arise while they are out at sea. For example; freeing a fouled propellor, inspecting the keel for any damage etc. 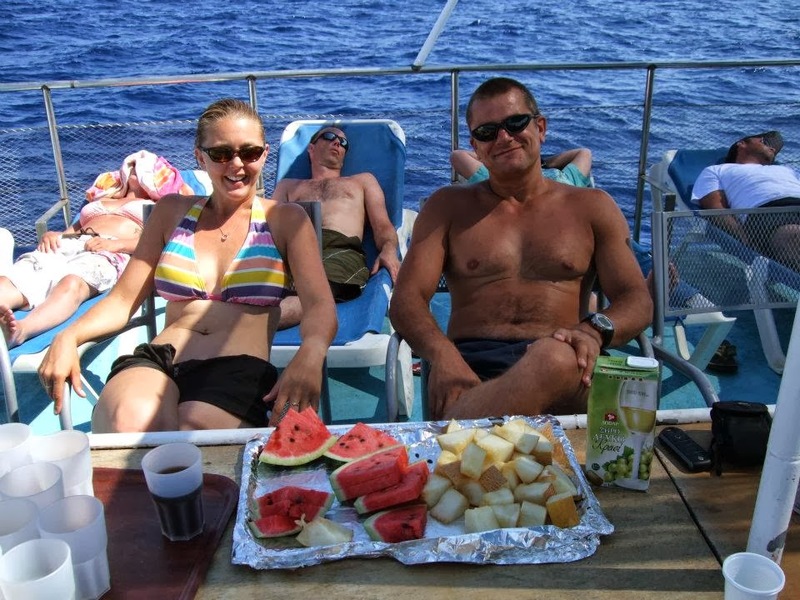 This is a one day training course comprising the same skillsets as the more complex Scuba Diving Courses but with scaled down content, that is consistent with the depth limitations. Academic Knowledge, Surface and Underwater Skills and a couple supervised Dives are all included in the training but with no exams. There is also an upgrade to a 9m certification with an extra day of training. The programme is HSE approved and even has built in insurance from Lloyds of London. To be honest, I think this sounds like a really good idea. The main objections I read to this training course was controlling how deep these "divers" would go, once they are certified but surely that is a problem with all divers regardless of the training they take. 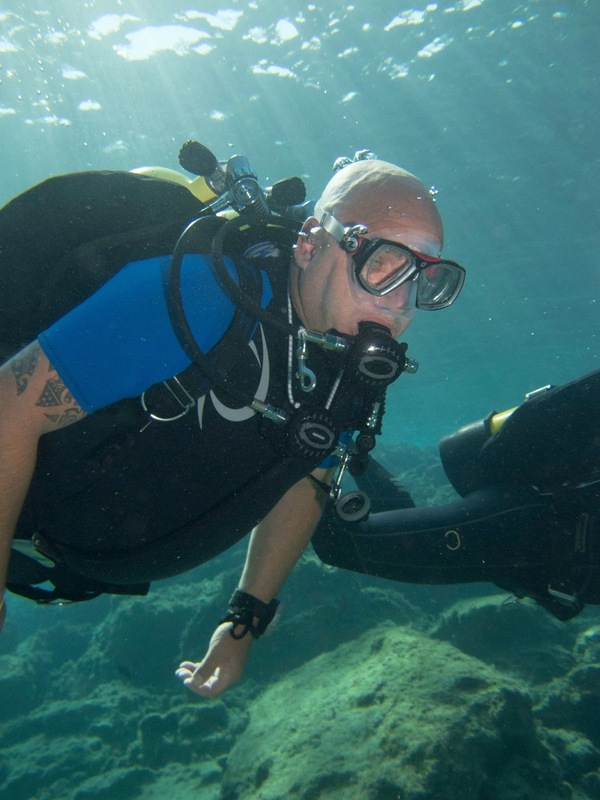 Arguing the point, you could say that a Diver with a BSAC, PADI or GUE certification would at least have the basic knowledge of decompression needed to make deeper dives without specific training for such. equipment. If it is their mindset, these people could just walk into a Dive Shop and buy everything they need for a dive and go without training? Which is the greater of the 2 evils? At least this minimalist training allows us the opportunity to re-inforce the depth limits and dangers of exceeding them. 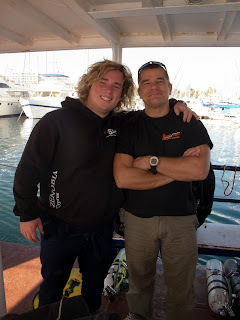 All in all, for the purposes for which it was written, I think the Microdive Basic Diver Course is a very sensible means of helping boat handlers be more independent and safer out at sea, as long as they respect the boundaries of the training. 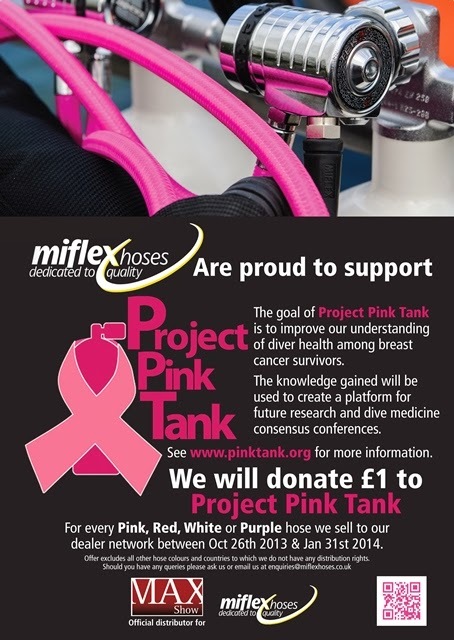 For Scuba Divers in their own right? 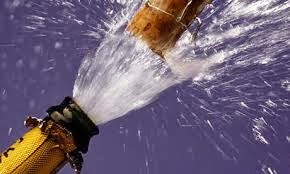 I still think it would be difficult to beat the time proven established Diver Training Courses. In these days of Diving there is so much new equipment that is being produced that getting something that suits you as a diver can be a minefield. You cannot always get impartial advice from your local dive store, as you need to buy the equipment and brands that they stock. So, I thought I would share my insights into that age-old debate... BCD Vs Wing!!! 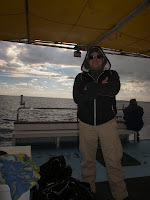 converted to a BUDDY commando jacket style BCD, which seemed to be the unspoken champion of BSAC clubs across the UK. 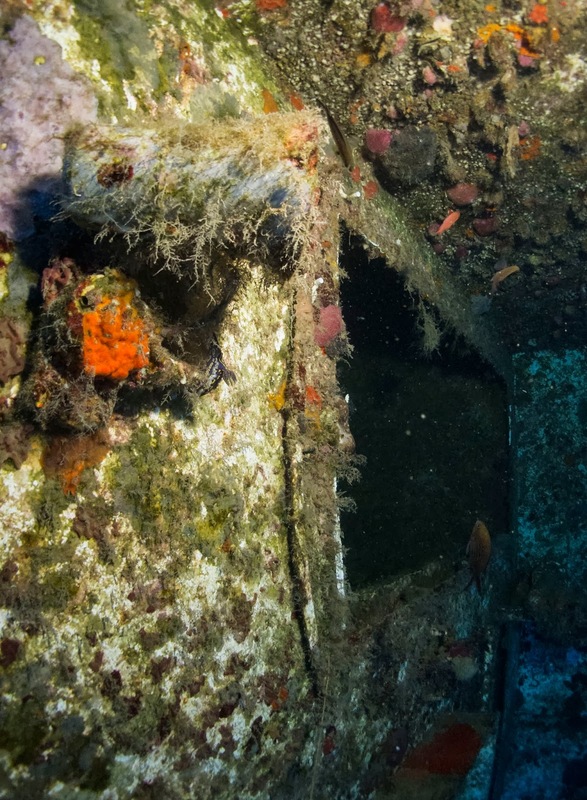 Hundreds of BSAC Scuba Divers congregated on the edge of Stoney Cove at the weekend in various shades of Flourescent Yellow and Orange, browns, blacks and Pinks ready to get wet. Jacket BCDs are absolutely fantastic for what they are. They can be like an armchair cradling you while you dive and at the surface and are still the most common type of buoyancy device you will see today. Inside the Jacket is an air cell, which wraps around the diver's sides, front and back. 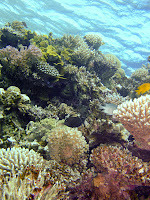 They are very stable in any position you adopt under the water and will hold you in a head up position on the surface. 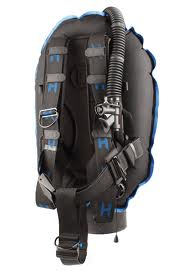 All jacket style BCDs have convenient storage pockets and sometimes weight pouches for integrated weight systems and, I will admit, seem to be easier for the novice diver to use. They do tend to hold the diver in a slightly "fins down" position in the water though and when the BCD is full, most divers will feel the jacket squeeze them, like a big uncomfortable bear hug! These days I wear a wing and backplate system, which I can honestly say I prefer. My reasons are as follows. 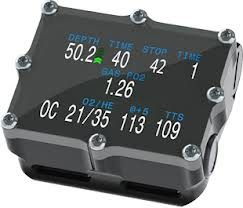 The Wing and backplate system is so versatile that I can customise my system to the way I dive. For example, I can use an aluminium or a steel backplate. 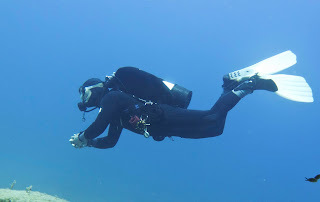 There are 30lb or 40lb wings for single tank diving or I can use a larger wing to accommodate my twinset for Technical Diving. 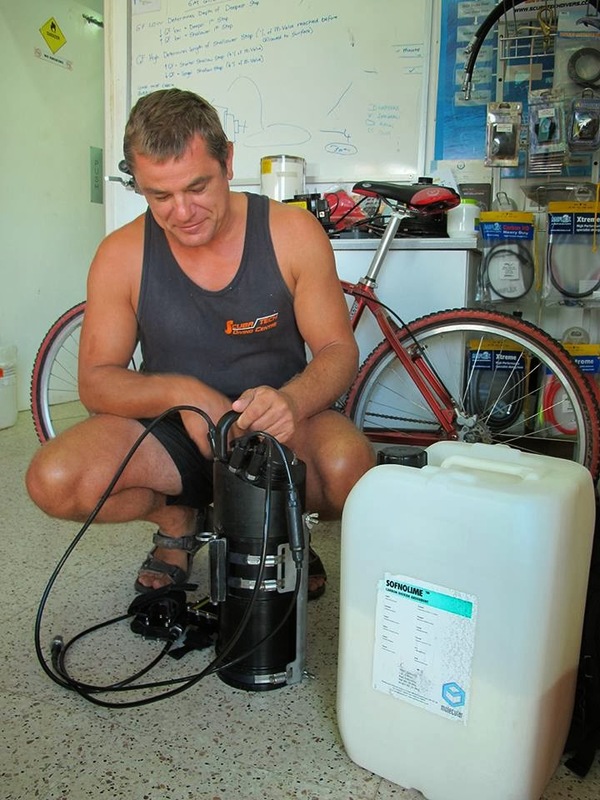 These are all interchangeable parts so I can use them in any configuration I like, making it extremely convenient, particularly for a Diving Instructor, like myself, that has to change from Single tank, to twinset to rebreather set-up on an almost daily basis. The Wing has an air cell that inflates only on the diver's back, which works to "trim the Diver out" in the water. 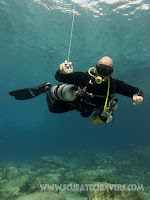 What I mean is, the diver is put into a more horizontal position when diving a wing and backplate system. 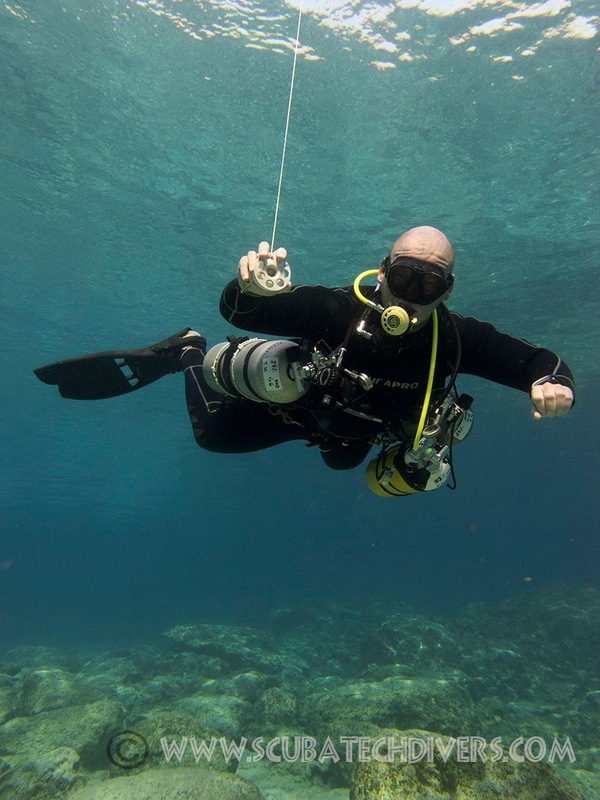 This works to make the diver more streamlined in the water, reducing drag and effort required on the dive and feels extremely stable. 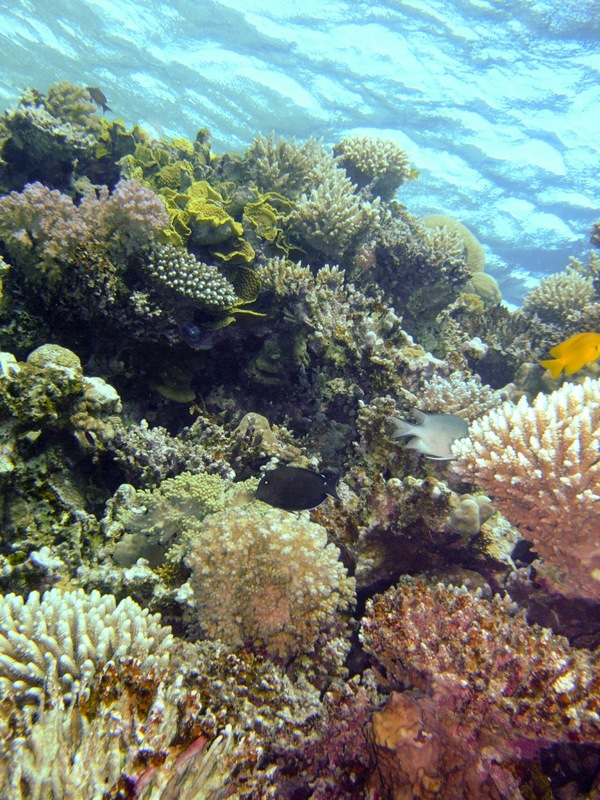 There is also a great feeling of freedom to diving with no clutter around the front of you. The wing configuration means there is only equipment on your back and your chest and stomach are pretty much clear. 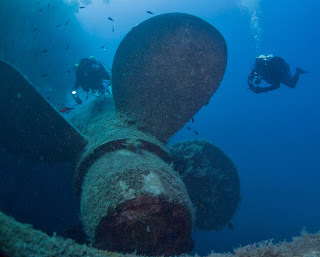 There was an argument that wings and backplates are more difficult to put on and remove and while it was true, divers quickly got used to the difference and adapted. 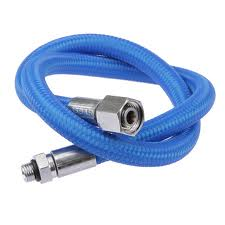 However, with the invention of the cinch system from Halcyon, this is no longer viable. All a wing and backplate diver now needs to do is simply pull the shoulder straps to loosen the harness and pull the waist band to tighten it. Easy as Pie!! For me, the versatility and convenience provided by the wing and backplate system far out weighs any benefits a jacket style BCD can offer. This doesn't neccessarily mean the system will work for everyone. 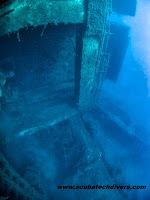 The best advice I can give, is to dive with a wing and back plate. Ask someone knowledgable to help you set it up to fit you properly. 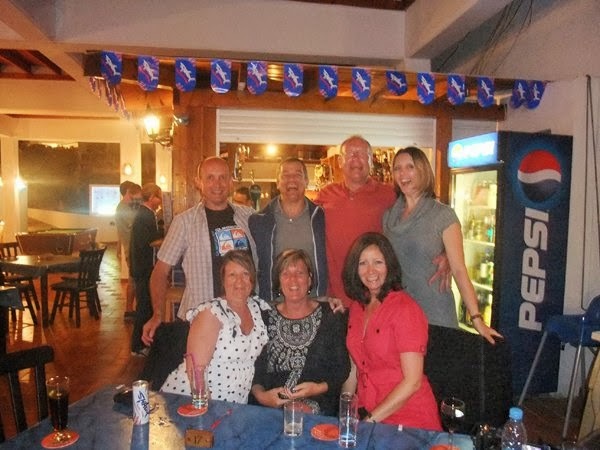 If you are in Cyprus, pop in and see us and we can show you the system and take you out. See what you think of it and if you will be a convert like I was. The proof is in the pudding. 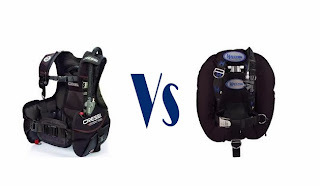 Over the past 3-4 years, the number of qualifed divers coming to Scuba Tech and asking for a wing set-up far out weighs those looking for the jacket style BCD. Would I swap back? Not a chance!! 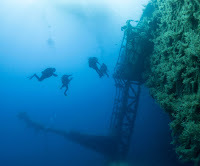 This is part one of our wreck diving in CYprus series with Scuba Tech Diving Centre and all our fellow Divers and friends. The Alexandria is a small fishing boat that began to founder in the Larnaca Harbour and was dragged out to sea to find her final resting place in close proximity to the world famous wreck of the Zenobia. It is that time of the year again! The water temperature has dropped to the low 20s and the drysuit comes back out of storage. 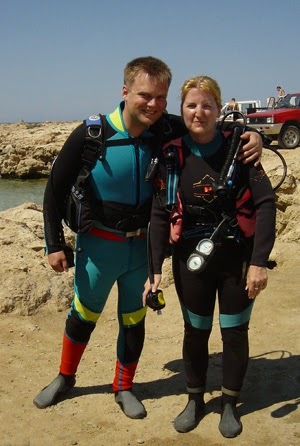 Drysuits are excellent pieces of equipment for scuba divers but you have to buy the right suit for you and have the correct training to use it safely. 1. What Material is it made from? Drysuits are usually either neoprene (sometimes crushed neoprene) or tri-laminate. Both have different properties and affect the way you dive. Neoprene drysuits generally have more warmth than tri-laminate and so the diver doesn't need to wear the same amount of thermals as you would in tri-laminate. 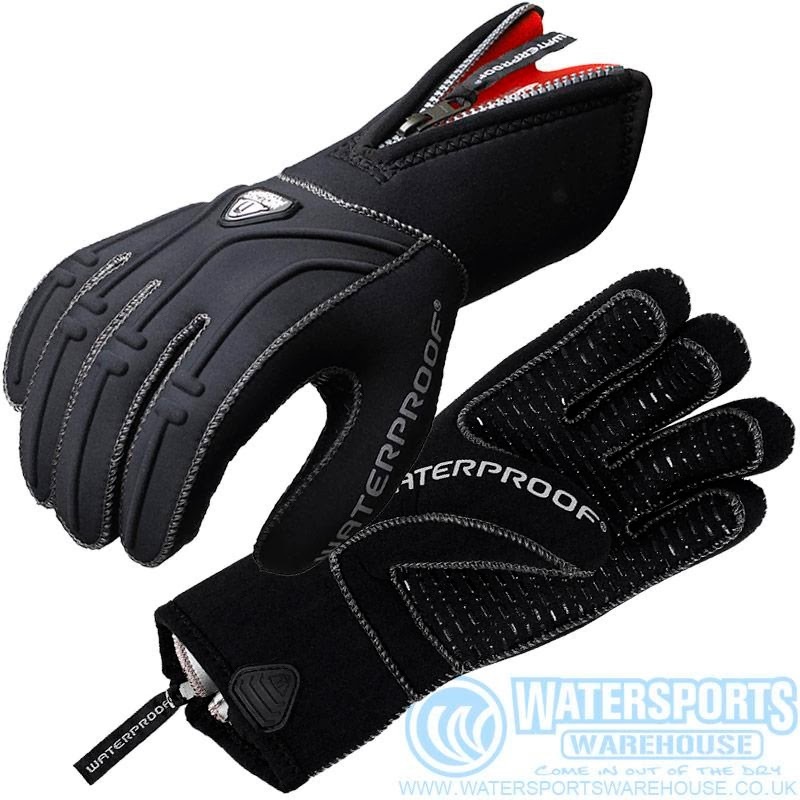 Be aware though that if the neoprene is not crushed, the buoyancy changes when changing depth can be quite severe. Generally speaking you do not want a drysuit that is restrictive at all but if you are a technical diver, you will want to consider your flexibility in a drysuit. 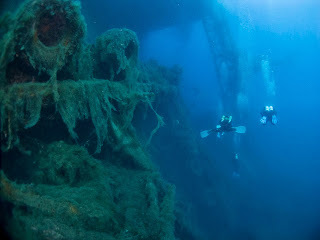 This is particularly the case when diving open circuit, twin tanks. 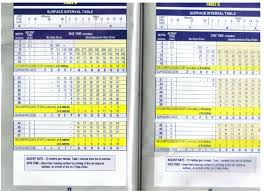 If you have not got the manouverability to reach your tank valves, you will be unable to complete the basic drills and skill sets. 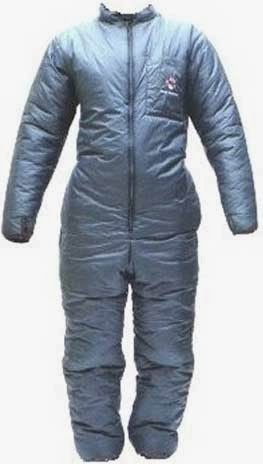 On the other end of the scale, if you have a dry suit that is too big for you, it will be too easy for air to migrate around it while you dive. This causes you to be less stable in the water and leads to an uncomfortable dive. I see many divers who come to dive in Cyprus in the winter in their drysuits trying to use the drysuit as their only means of buoyancy. 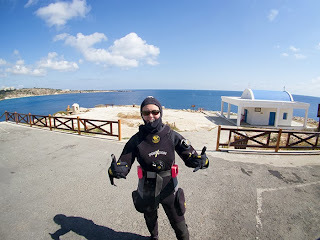 While I realise this is often the way divers are taught to dive in their drysuits, it is wrong. 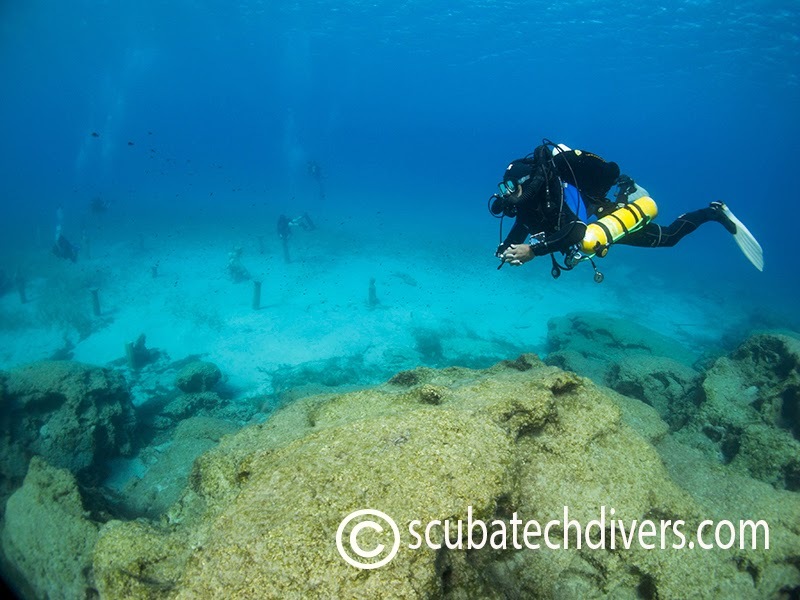 You have a buoyancy control device (BCD) so use it! As I said before, the more air in the suit, the more it migrates around and the less stable you are in the water. 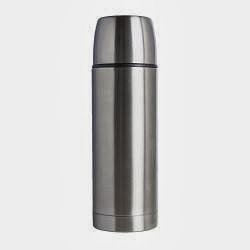 You will also find that you will get gas bubbling out of the neck seal when there is too much in there. 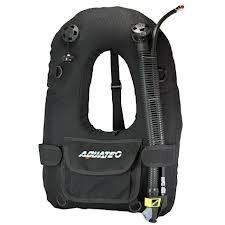 Divers should only use the drysuit to take off the squeeze and other buoyancy should come from the BCD or wing. 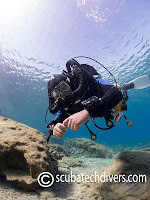 This will make you a more controlled diver and give you a more comfortable experience. While many divers say diving in a drysuit takes a lot of effort and is uncomfortable, I have to admit, it is my preferred way of diving especially at this time of year. 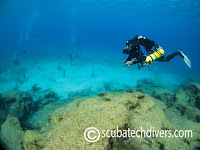 With the correct training and weighting, I am sure you will love drysuit diving too.